The Obey 3, Obey 4 from Chauvet and the ADJ light Operator. I have total control over all light fixtures and pre programmed light shows. I have all 3 of these new for the new year. In a growing desire to be so modular that I can customize my light show i have added 2 of these to my lineup. These 2 packs can give me more flexibility to work my lights in many ways. All my lights, packs and controllers are DMX. Provides infrared wireless sync between receiver and transmitter plus interference-free reception. 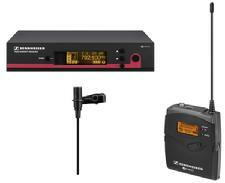 The Sennheiser ew 114 G3 Lavalier Wireless System is discrete and easy on the voice. Thanks to the clip-on mic's cardioid pattern, it rejects noises coming from the side, which means less risk of feedback. When you're presenting, your voice gets delivered in a rich and full manner without the need to speak loudly. The ew 114 G3 system uses infrared energy to sync the bodypack transmitter to the receiver wirelessly. 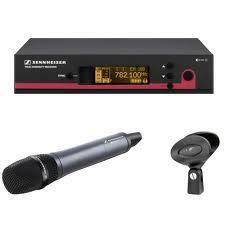 Lastly, the Sennheiser true diversity receiver provides for reliable signal transmission, even in large rooms. Versatility for every style of music and presentations: you can depend on great performance from the ew 115 G3 LE vocal system. The handheld microphone now allows you to charge the optional rechargeable pack while it remains in the transmitter. Wirelessly link up the transmitter with the receiver with a single touch of the sync button. The true diversity receiver has a back-lit graphic display that makes it easy to read under all lighting conditions. 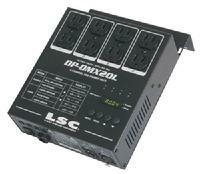 8-outlet power strip optimized for audio gear. Employ the PowerCenter PRO 900 from Monster Power to feed clean, hi-octane AC current into your prized pres. 1U rackmount PowerCenter features advanced power filtering optimized for audio components. The 8 color-coded, component specific outlets in back include a high current outlet for a power amplifier. The front of the panel is graced with two convenient outlets and an XLR lamp connection with dimmer control. Monster's patented circuitry provides a high level of protection with an 1850 joule rating. 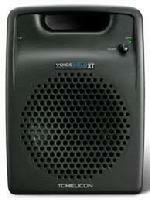 2 Of these for Weddings and jobs that need a small ceremony system. The VSM-200XT VoiceSoloXT is an active personal monitor from TC Helicon that offers improved sound, better looks, and a lower price than the original model. The VSM200XT monitor lets you hear the stage mix you need without all the feedback! You get intelligible, natural vocal sound thanks to an ICT (Inductively Coupled Technology) point source driver; a rugged, efficient cast aluminum enclosure; and a clean, quiet 150W BASH amplifier with a built-in limiter. Non-electrical methods are used to couple the tweeter with the woofer making the tweeter virtually indestructible. 2 of these now in my racks. The BBE 382i series delivers all the sound-improving benefits of a Sonic Maximizer with the convenience of ganged-stereo operation, perfectly suited for any -10dBV unbalanced studio, PA system, or guitar/bass rig. The BBE 382i Stereo Sonic Maximizer applications include DJ and PA sound reinforcement, musical instruments, and recording. 4 of these new stands! Matching sets make ever event top notch. 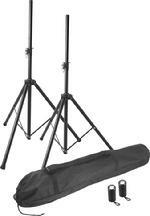 The SSP7855 Professional Steel Speaker Stand Pak includes 2 height-adjustable steel speaker stands and a convenient carrying bag to hold them. The all-steel speaker stands each have a 1-3/8" upper shaft and feature a 2-section vertical shaft with 8 preset height-adjustment holes with a locking pin for added security. The stands feature friction-locking, retractable leg housings for quick and easy set up and tear down. The scrim King Speaker Stand Covers, Look at the photo to see how these can jazz up an event and make the stands blend in. These can be lit up for a whole new effect.